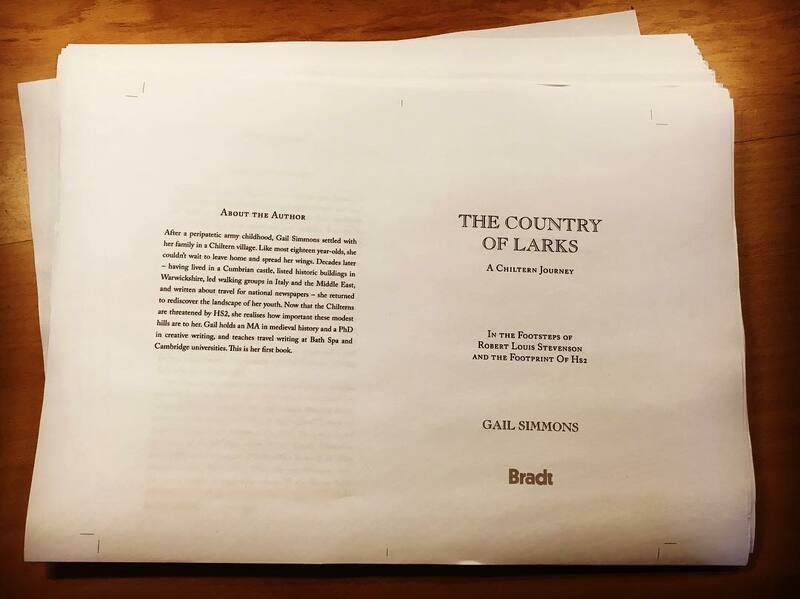 Today is the day that my book, The Country of Larks, is off to the printer – also known in the publishing business as ‘putting it to bed’. This is my first ‘proper’ book, so I didn’t know what to expect from the editing/production process but the experience with Bradt has been a positive one from beginning to end. I’ve been hugely impressed with the care they have taken over my book, from the design to the final edit. But I guess this is what you’d expect from a publishing house of 45 years standing. This week I also got to see the (almost) final version of the cover, with linocut by James Green Printworks and design by Pepi Bluck of Perfect Picture (who also typeset the book and designed the internal pages). Here’s a sneak preview.